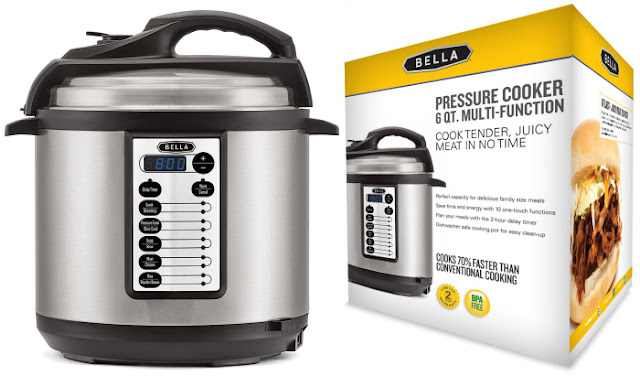 Right now over at Amazon.com you can score this Bella 6-Quart Pressure Cooker for only $29.99 shipped (Retail $79.99). This pressure cooker features ten one-touch cooking functions including sauté, brown, pressure cook, slow cook and more. It also has a safety locking lid, cool-to-the-touch handles, a steam release valve and more!